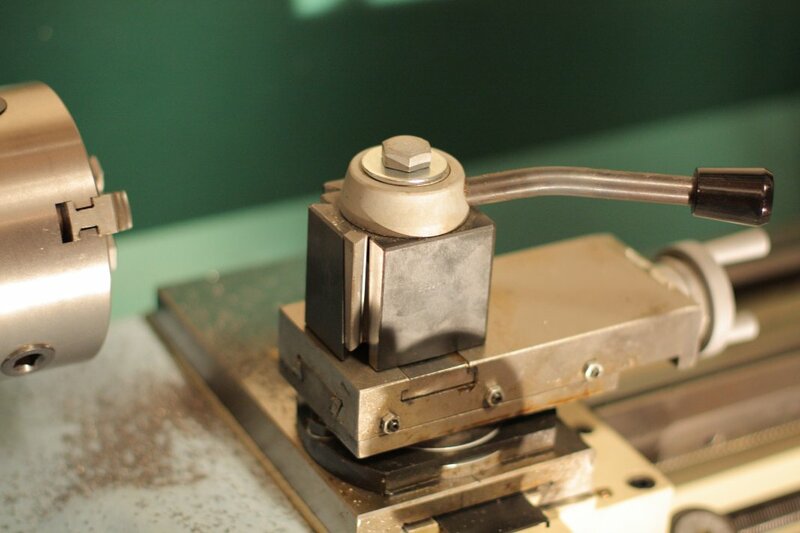 When I purchased my Grizzly G0602 10×22 metal lathe one of the first projects I had in mind was to mount an AXA-size quick change tool post on it. 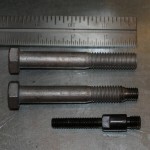 Most of the methods I found online for doing this required either modifying the tool post mounting plate that came with the lathe or creating a suitable replacement with a threaded hole to fit with the quick change tool post bolt. I didn’t want to modify the mounting plate and creating one from scratch would have been a challenge without a mill so instead opted to create a new tool post bolt. To do this I started with a 1/2″ x 3.5″ bolt, turned down the end, and then threaded it with metric threads to fit the mounting plate. In the end it turned out to be a quick and simple that has worked very well. 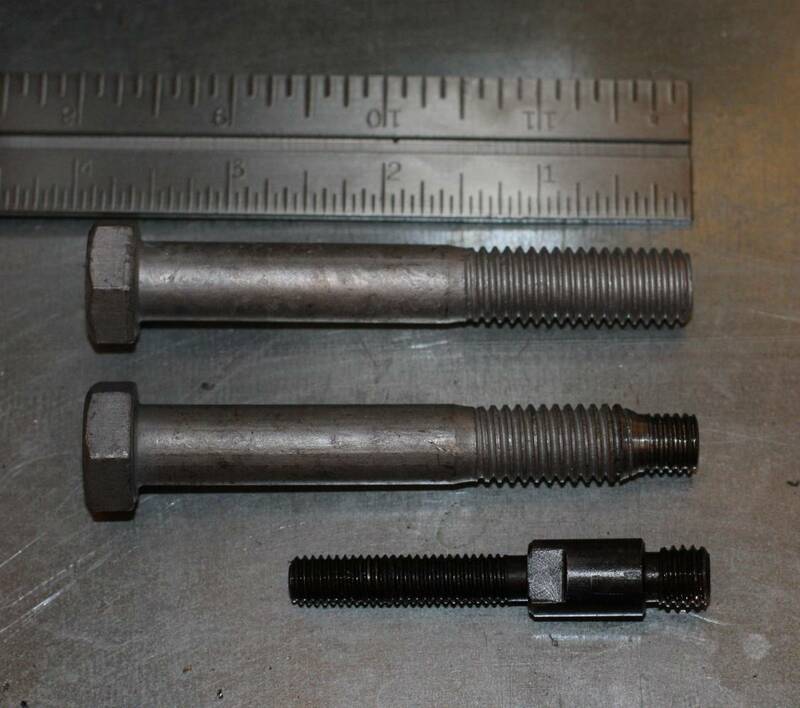 Original bolt, finished replacement, stock tool post bolt. 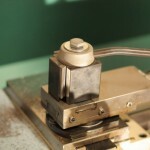 Mounted quick change tool post.